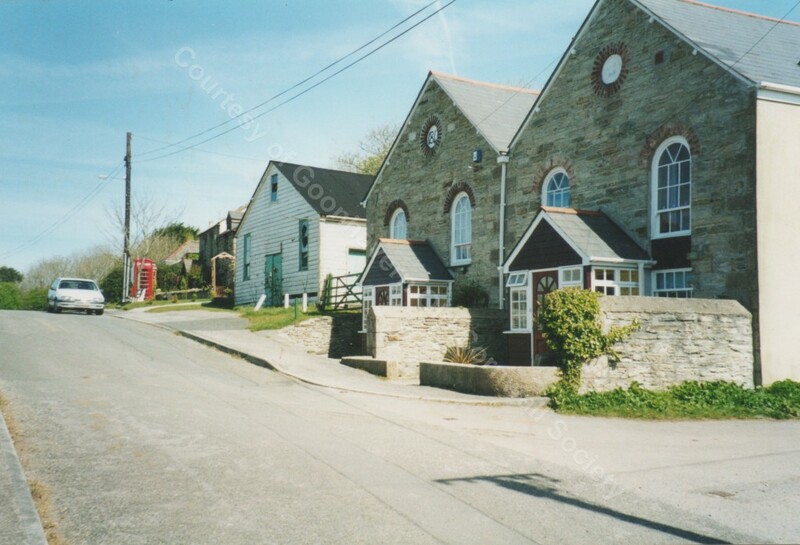 Showing Old Sunday School (white wooden building) before demolition. This chapel unfortunately closed in 1986 but the organ still lives on as in 1987, it was brought up to Rose Chapel where it has been played ever since. Wonder what has happened if anything to Goonhavern Chapel Organ, see for sale signs are down, don’t know if its sold or not.